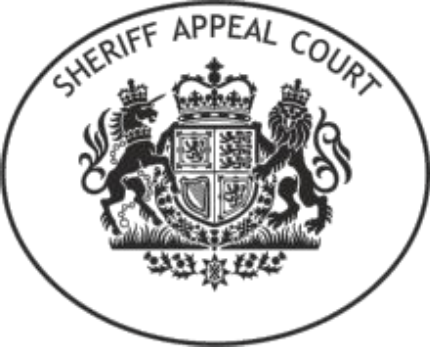 The Sheriff Appeal Court dismissed that appellant’s claim that the threat to disclose the photographs was not an “abusive” act and ruled that the CPO with a supervision requirement was “warranted”. Sheriff Principal Duncan Murray, sitting with Appeal Sheriff Sean Murphy QC, heard that the appellant James Shanks pled guilty, at the diet of trial, to a charge of threatening to disclose a number of photographs of his former partner, the complainer, in an “intimate situation” in contravention of section 2 of the Abusive Behaviour and Sexual Harm (Scotland) Act 2016. He was sentenced to a community payback order (CPO) with an offender supervision requirement for 12 months and a headline period of 150 hours of unpaid work, which was discounted to 135 hours to take account of the timing if the appellant’s plea, while a non-harassment order was also imposed. But the appellant appealed, arguing that the sentence imposed was “excessive”. The court observed that the statutory offence introduced by section 2 of the 2016 Act, which had been enacted specifically to deal with behaviour such as that carried out by the appellant, provides for a maximum sentence of 12 months imprisonment on summary complaint or up to five years imprisonment if prosecuted on an indictment, meaning that parliament viewed such offences “extremely seriously”. And as noted by the High Court of Justiciary in Sutherland v HM Advocate 2017 SCCR 268, individuals who disclose intimate images on a private basis have “little or no control” of the image once it has been sent and are “vulnerable to considerable embarrassment and upset” if their privacy is not maintained. The sheriff considered that an individual who has entrusted a partner with an intimate image is entitled to a “reasonable expectation” that the court will deal “severely” with those who perpetrate this type of offence, implicit in which is “deliberately caused distress”. The court was told that the appellant made the threat while under the influence of alcohol, but it clearly had “immediate impact” upon the complainer. The question for the appeal court was whether the threat in this case, as opposed to actual distribution of the images to others, warranted this level of penalty, given that there was no subsequent distribution of the pictures. However, the appeal sheriffs disagreed with the submission made by the appellant that this was not an abusive act. Delivering the opinion of the court, Sheriff Principal Murray said: “The appellant’s action was clearly an unwelcome and uninvited threat to publish this photograph to the complainer’s children. Parliament has specifically legislated for such an offence.